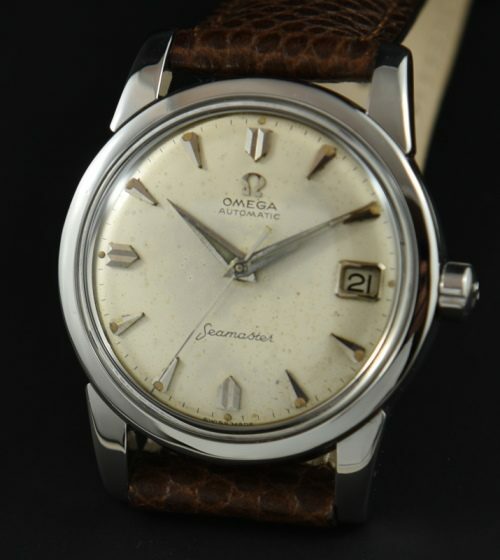 The Omega Seamaster dates to 1959 and measures 34mm. and has its correct OMEGA winding crown. The caliber 503 automatic movement is accurate after a recent cleaning. The dial, Dauphine hands, steel raised markers and luminous are all original. Finding all original 50’s OMEGA examples is becoming harder and harder these days.